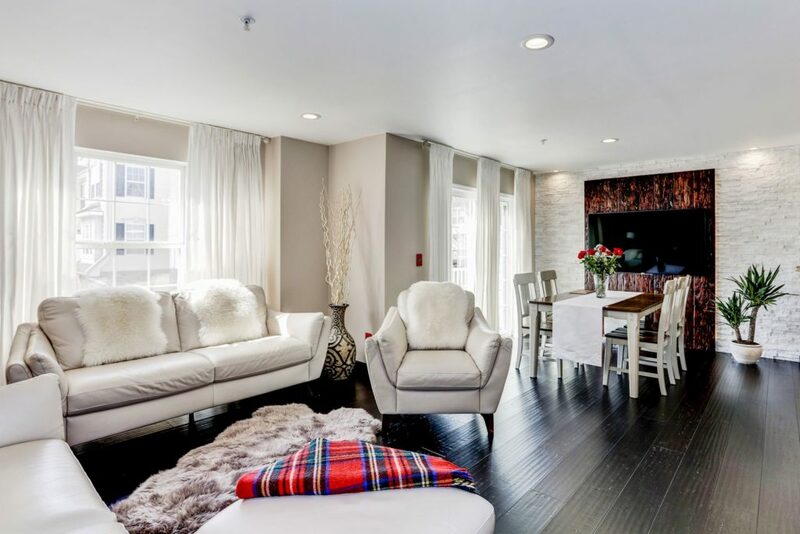 2000 sq ft Madison model townhouse priced to sell. 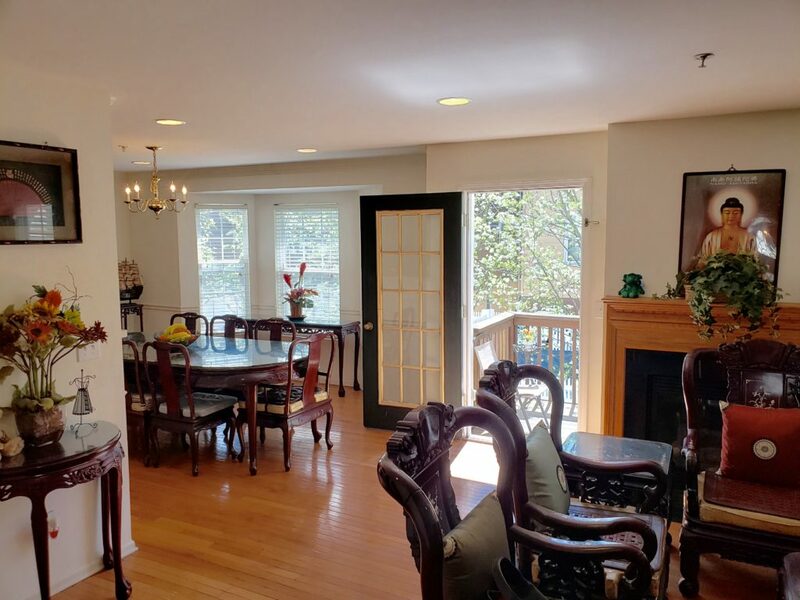 Large living room with access to a spacious deck that offers glimpses of the Bay and beautiful sunsets Bergen Point Bayonne is famous for. There is a large kitchen with many wooden cabinets, a breakfast bar and formal dining area. The main bedroom on the 3rd level comes with an ensuite bath with deep soaking tub and shower stall plus a walk in closet and an additional smaller closet. The laundry room is conveniently located on the 3rd level along with the guest bedroom and bath. There is a 3rd bedroom and living room on the ground level and access to a patio and yard space. Boatworks Bayonne has a boardwalk and a marina with available boat slips, guest parking and an outdoor pool. Easy access to transportation to Jersey City, New York and Hoboken. Ryan welcome to Boatworks Bayonne. Consider yourself at home. Ryan, left and Eliza (not in photo) are the new folks on the Maritime block on Maritime Way Boatworks Bayonne NJ. Welcome! You are now part of a great group of neighbors. 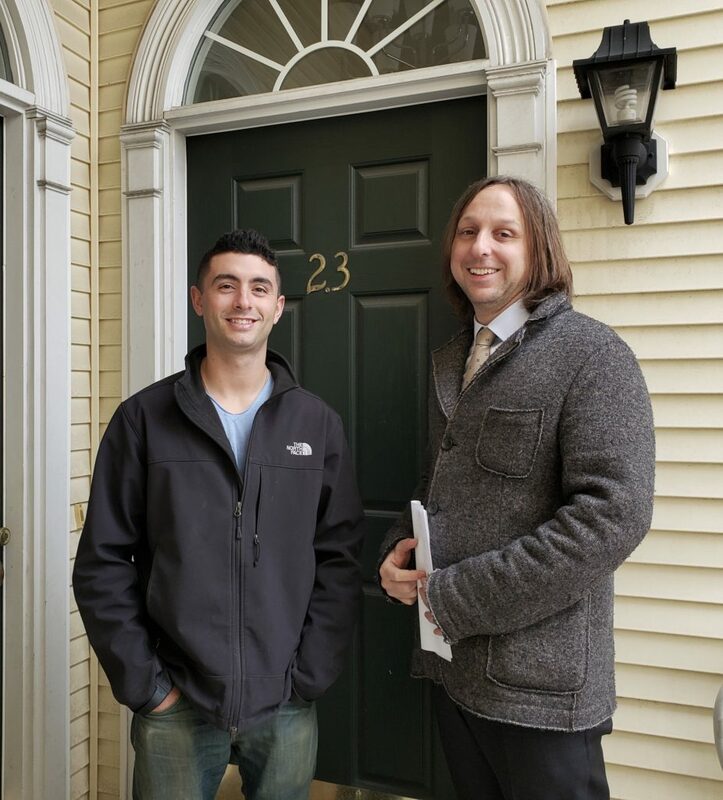 Ryan and Eliza with the help of agent Brian, at right, closed on 23 Maritime Way on Friday. Ryan, consider yourself at home. The Maritime “party people” will be reaching out to you soon. Just Sold! 23 Maritime Way Boatworks Bayonne NJ $391,200. The most coveted location in the Boatworks community, Maritime Way, located directly in front of the Marina overlooking the Newark Bay. Take a stroll on the boardwalk at sunset and you’ll see why. This beautiful 1800 sq ft triplex offers a first floor family room/den and private direct access to the Boardwalk, 2 bedrooms and 2.5 baths. There is an outdoor pool and parking for guests. 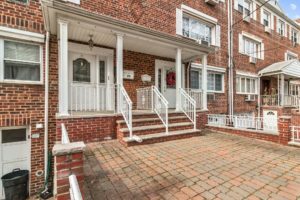 It’s close to the Light Rail with access to the PATH train to NYC. You’ll fall in love with this unique 1800 sq. ft townhouse at 11 Bayside Dr., Bayonne from the moment you step through the front door. It’s is creative, warm, contemporary, immaculate and functional. There is also a large family room with uninterrupted views of the Bay and a whole lot more. Come see why everyone’s talking about Boatworks Bayonne. You can also call me for a private showing at 201 232 8577. Refitted for the homeowner who appreciates a clean minimal look where the walls, floors and railings are works of art. 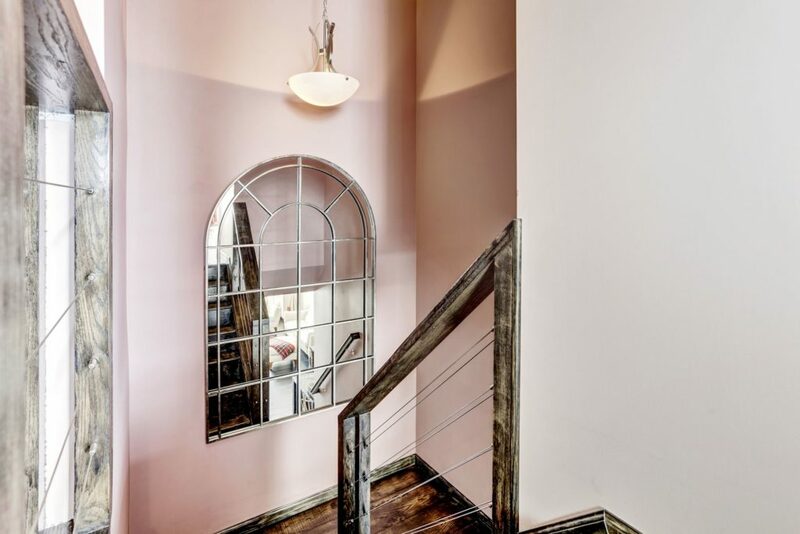 From travertine wall tiles in the entryway, decorative plastering in the living room, accent wall of natural stone and aged wood in the dining room, wide plank underfinished hardwood floors and wide wooden handrails with balusters of natural and wire rope and wrought iron. The rooms are lit with recessed and accent cable lighting and the main bedroom with touch sensitive light switches and pop out outlets. The home is as comfortable as it is chic with bedroom floors fitted with a thick underlay for added warmth. There is a spa like full bathroom for guests and also a half bath with a sleek modern vanity. The family/game room on the ground floor gives you direct access to the boardwalk and the Newark Bay. You won’t be needing a conversation starter when your guests visit. Boatworks Bayonne is a private community of 160 townhouses on the Newark Bay. There is an outdoor pool, boardwalk and marina. The 8th St. Light Rail Station is 8 mins away with access to PATH train to NYC and the Ferry. Buses to Wall St., Journal Sq and Port Authority are close by. 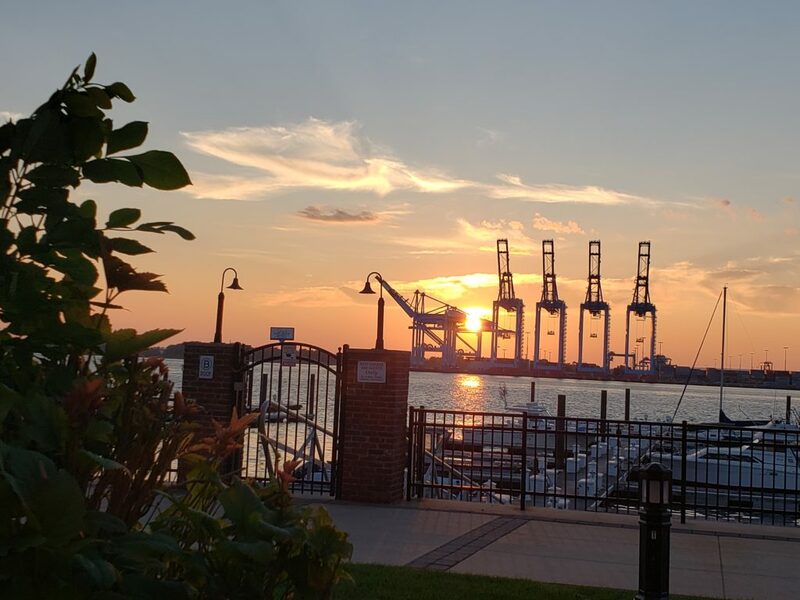 Just sold in Boatworks Bayonne – 66 Boatworks Dr.
We welcome new neighbors Ketaki and Rupesh to Boatworks on the Newark Bay in Bayonne, New Jersey. The couple closed on their townhouse earlier this month and are excited to be part of the community. 66 Boatworks Dr., a Penn design of approximately 2000 sq. ft. sold for $380,000. 3 Elco Court is a Bryant design townhouse with first floor access to the community’s lush green courtyard. 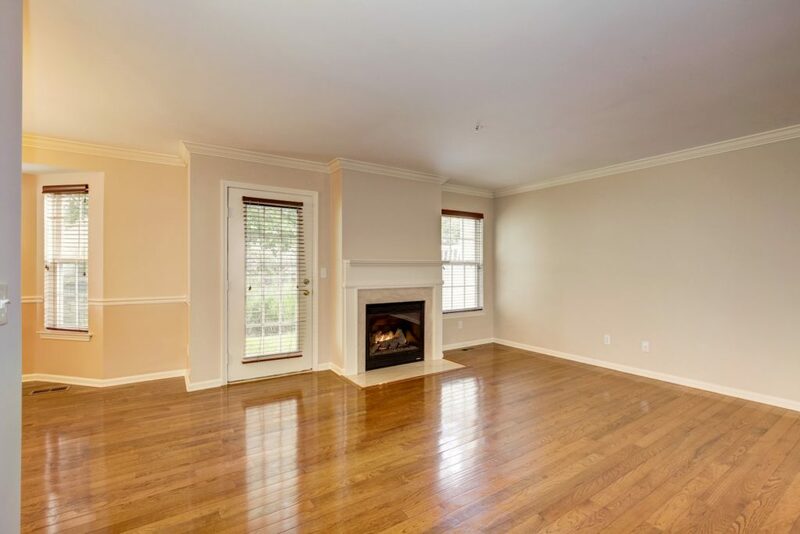 End unit with gleaming mahogany wood floors, corean kitchen counter tops and brand new appliances. 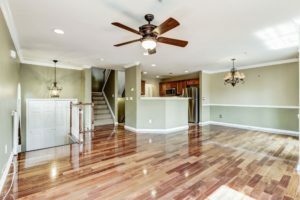 Recessed lighting, attractive overhead lanterns and matching ceiling fans, custom built media center with desk in master bedroom, ensuite master bath with dual vanity, shower stall and tub, new compressor and updated HVAC system. 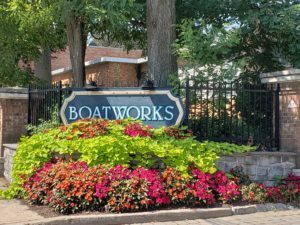 Beautiful Boatworks is a private community on the waterfront in Bayonne. Close to transportation: 8th St Light Rail with connections to PATH train to NYC, buses to Jersey City downtown, Port Authority NYC, ferries to NYC and Journal Square. To see this listing call Janice Hall at 201 232 8577. Ten years after property values began depreciating from their original purchase price in 2004 to 2006, townhouses have regained most of their value and are now where they were in 2008. It’s been a slow and unsteady climb to this and hopefully the trend will continue so the community can keep pace with the rest of the market in Hudson county. So far this year sellers have achieved an average price of $386,000 for sold properties. In 2008 the average sold price was $386,580 – a difference of only $580. Pre-construction prices in 2004 to 2006 ranged between $400,000 and $640,000. In 2007 one year after the builders left the average sold price was $435,636. Values slowly declined thereafter and up until 2016 ranged from $275,000 for the smaller 1400 sq. ft. designs to $372,000 for the 2000 sq. ft. designs. The upward trend began in earnest in 2017 with an average of $378,413. 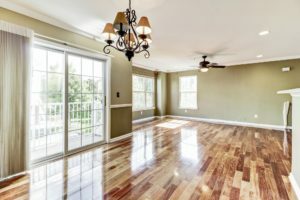 The years of declining prices are attributed to the US economy which greatly affected the housing market causing some short sales and foreclosures. Hopefully those days are behind us. If you’d like to find out what your Boatworks townhouse is worth call me Janice Hall at 201 232 8577.